Vacuum is something most people learn about as children, when they’re first tasked with chores around the home. The humble vacuum cleaner is a useful home appliance and a great way to lose an eye as an inquisitive child. When it comes to common workshop tasks though, they can be a bit of a let down. When you need to pull some serious vacuum, you might wanna turn to something a little more serious – like this converted air compressor. The build starts with a cheap off-the-shelf tyre inflator. These can be had for under $20 from the right places. They’re prone to overheating if used at too high a duty cycle, but with care they can last just long enough to be useful. The hack consists of fitting a hose barb connection over the intake of the pump, to allow air to be sucked out of whatever you’re trying to pull vacuum on. This is achieved with some hardware store parts and a healthy dose of JB-Weld. It’s then a simple matter of removing the valve adapter on the tyre inflator’s outlet so it can flow freely. You might also consider adding a check valve, but overall this remains a cheap and easy way to get an electric vacuum pump for your workshop up and running. If that’s not quite your jam, you can always go down the handpump route instead. When it comes to machining, particularly in metal, rigidity is everything. [Tailortech] had a homebuilt CNC machine with a spindle held in place by a plastic bracket. This just wasn’t up to the job, so the decision was made to cast a replacement. [Tailortech] decided to use the lost PLA process – a popular choice amongst the maker crowd. The spindle holder was first sketched out, then modeled in Fusion 3D. This was then printed in PLA slightly oversized to account for shrinkage in the casting process. The PLA part was then used to make a plaster mold. [Tailortech] explains the process, and how to avoid common pitfalls that can lead to problems. It’s important to properly heat the mold once the plaster has set to remove moisture, but care must be taken to avoid cracking or wall calcination. It’s then necessary to slowly heat the mold to even higher temperatures to melt out the PLA prior to casting. With the mold completed, it can be filled with molten aluminium to produce the final part. When it’s cooled off, it’s then machined to final tolerances and installed on the machine. Lost PLA casting is a versatile process, and goes to show that not everything has to be CNC machined out of billet to do the job. It’s also readily accessible to any maker with a furnace and a 3D printer. If you’ve got a casting project of your own, be sure to let us know. Video after the break. Over on Hackaday.io we have a lot of people playing around with the possibilities presented by cheap printed circuit boards. Whether that means making a quadcopter from fiberglass or a speaker from etched copper, we’ve seen just about everything. Now, finally, we have a miniature magnetic racetrack. It’s an ant highway, or a linear motor wrapped around into a circle. Or a tiny-scale model railroad. Either way it’s very, very cool. The ant highway comes from [bobricius], one of the many makers tinkering around with coils and traces. This time he’s built a ten centimeter square board that is, effectively, a linear motor. It’s a three-phase motor made out of PCB coils, with a small magnetic ‘car’ that’s pushed forward. These coils are controlled by an ATtiny10 and a trio of MOSFETs. Wrap that linear motor into a circle and you have a neat little circular track that’s the smallest model car raceway you’ve ever seen. As with all of [bobricius]’ circuit boards, this one demands a video, and that’s available below. This is an interesting bit of technology, and it’s more than just a raceway for tiny magnetic cars. This could be the beginnings of an analog clock with a digital heart, or the start of the smallest model train layout you’ve ever seen. There’s impressive work being done with PCB motors now that printed circuit boards are so cheap, and we can’t wait to see what’s next. A quick Hackaday search will reveal [bobricius] as a prolific source of projects whose work we’ve featured multiple times. Favorites include a brushless PCB motor, and an FR4 cell phone. 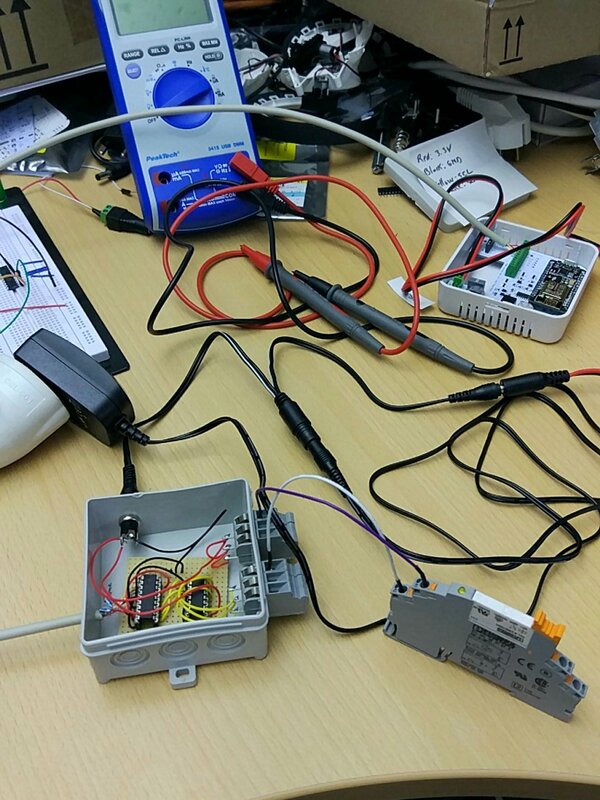 Imagine that you’re starting a project where you need to measure temperature and humidity. That sounds easy in the abstract, but choosing a real device out of many involves digging into seemingly infinite details and trade-offs that come with them. If it’s a low-stakes monitoring project, picking the first sensor that comes to mind might suffice. But when the project aims to control an AC system in an office of temperature-sensitive coders, it pays to take a hard look at the source of all information: the sensor. Continuing a previous article I would like to use that same BMaC project from that article as a way to illustrate how even a couple of greenhorns can figure out how to pick everything from environmental sensors to various actuators, integrating it into a coherent system that in the end actually does what it should. A major issue when it comes to figuring out which components one needs is that there are a lot of (online) articles, forum posts and other commentary out there by people who are using the same sensors and actuators without ever really questioning why they are using those devices and not others. A good example of this are the DHT11, DHT22, and AM2302 temperature and hygrometer sensors. While very popular and used by everyone and their dog, they come with a whole range of potential issues. 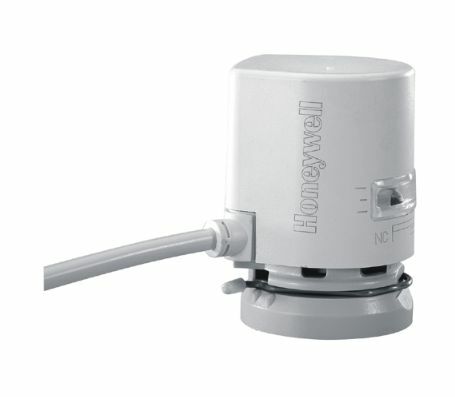 This sensor and a number of others were recently compared in a comprehensive test. The findings of that test showed that across six different sensor devices (specifically the DHT22, BME280, SHT71, AM2320, HTU21D and Si7021), the DHT22 performed the worst, with three out of six sensors outright dying over the course of two years. They also showed issues with variability between individual sensors and a lack of long-term stability and reliability. Long-term stability cannot be expected, self-heating is an issue, and there’s no reliable way to detect strong heating or cooling as compared to a failing sensor. Another issue that makes this range of sensors so annoying to work with is that they use their own, proprietary interface and protocol. This protocol is somewhat similar to the 1-wire protocol as invented by Dallas Semiconductor, but uses its own timing system and without the bus-mastering additions. With only its from Chinese translated datasheet to base a library on, one has to raise serious questions about the reliability of any system that includes one of these sensors. In the BMaC project we initially started out with these DHT22 sensors as well. They were cheap and plentiful, and at first glance they seemed to be just fine. Unfortunately the breakout boards we had did not include the proper resistors on the breakout board, so humidity measurements were off by a few percent RH, as we found out later. These sensors, especially including the breakout boards, are rather bulky as well, making them hard to integrate into projects. At some point we came across this MEMS sensor from Bosch, the BME280. It was similar to the BMP180, another quite popular MEMS temperature and relative humidity sensor. The BME280 does pretty much the same, only a bit more accurately, and also adds air pressure measurements. Even better, these sensors on a nifty little breakout board cost little more than the DHT22 boards we’d been using until that point. 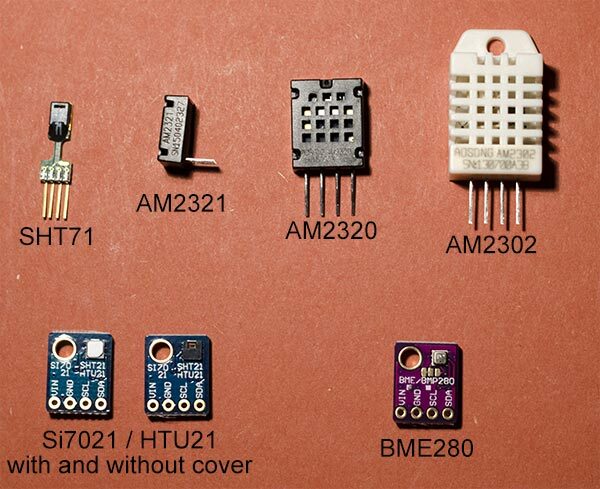 These Bosch sensors all use either an I2C or SPI bus. This means that one can hook multiple of these sensors to a single I2C bus and communicate with them using an industry-standard protocol. This massively simplifies the sensor code, as it only has to concern itself with reading out the appropriate registers, instead of also the timing and interpretation of the received bits. So in short, these BME280 sensors turned out to be the superior choice for the project. They are much smaller and more accurate, use a standard interface, and make it easy to chain multiple sensors to a single microcontroller and gaining air pressure readings in the process. With hygrometers, self-heating can lead to inaccurate results. The act of measuring the temperature simply causes the device itself to heat up. While working on the initial BMaC project, we struggled trying to determine the accuracy of our thermometers, both DHT22s and BME280s, in the absence of some absolute reference sensor. There are plenty of forum and mailing list threads where people note that their BME280 sensor is measuring two degrees higher than it should, or their DHT22’s measurements are completely out of whack. While the latter we unfortunately found out ourselves to be the case for certain breakout boards, the former issue with the BME280 was harder to pin down as being true. Since that time, people including the very same who did the aforementioned hygrometer shootout also did an absolute temperature test of the BME280 and DS18B20 sensors, with the conclusion that there’s no sign of self-heating apparent. Possibly one could induce some level of self-heating in the case of rapid and sustained measurements, but then one would have to wonder about what kind of environment would have a temperature that changes so quickly that one-second temperature updates are necessary. The blue graph (MemoryLeak) is the temperature reported from the ceiling-mounted BME280 sensor in a meeting room with two AC units, whereas the other two squiggly lines (Großraum 3) were from the same type of sensor setup in the center of a line of three AC units in an open-plan office. Finally, the sensor readings post-fixed with my name were DHT22-based setups on my desk in that same open-plan office. The sensor setup in the open plan office was also controlling the AC unit’s fan coil unit (FCU) while measuring the temperature in the same space. The difference between the meeting room and general room readings show how different both systems are configured and measure. The original AC controller with a wall-mounted sensor and aggressive heating pattern ramped up the fan quickly, easing off when the target temperature got reached. In comparison, my ceiling-mounted sensor and controller took a more gradual approach, preferring to slowly ramp up the fan speeds in small increments and constantly adjust using the temperature readings from the nearby BME280 sensor. Obviously, for critter comfort, it’s important that such systems are non-obtrusive and – above all – accurate. While playing around with temperature is fine and everything, the real fun starts when one starts manipulating the water valves and other toys that are hidden in the suspended ceilings of office buildings. Changing the fan speed of the FCUs was easy enough – using a 0-10 V DC signal into a header on the original FCU controller board – the valves controlling the flow of hot and cold water (as described in the aforementioned previous article) required a few bits of custom hardware. This was high stakes hacking. There was every potential that by using the valves in the wrong way, leaving them open for too long, or drawing too much current we could irreparably damage something, or worse: disable the AC system in the entire building. That’s the kind of scenario where you wish that you had paid more attention to a robust system for the actuators. The system that we ended up implementing for the air conditioning valves either used the standard control signal via a relay for whole-floor-section switches, or the 24 VAC supply that was already present on the original valve control line for the FCUs, bypassing the original relay. For the latter we used an industrial Phoenix Contact SPST relay, driven by a Darlington array from an MCP23008 I2C-based GPIO expander. The advantage of this system is that it uses off-the-shelf components that are meant to be used in an industrial setting. By ensuring that especially the mechanical (relay) parts are rated for the conditions in which they are meant to be used (mounted in a stuffy, hot space above a suspended ceiling), failure over time should be unlikely. As the BMaC project (or ‘playing with IoT stuff’ as it was still known back then) kicked off, there was nothing crucial about anything we did. Using DHT22 sensors, only to find out that they weren’t that good was therefore totally okay. As the project escalated from merely making measurements to controlling parts of the building’s systems, it soon became clear that the stakes had risen dramatically. In any project that uses sensors and/or actuators, the need to validate sensor and actuator accuracy and reliability over time is directly linked with the consequences if any of them were to fail. Having inaccurate room temperature measurements displayed on a Grafana dashboard is embarrassing, having a dodgy coffee machine is annoying, having a non-functioning air conditioning system can cost the company thousands of Euros in lost productivity, or worse. This leads to the take-away message of this article; the most essential part of any serious project is to know what the cost of failure is, and how to hard to try to avoid this by picking the right system components. A blacksmith at work. Via BBC. In the simplest terms, welding is defined as ‘the joining of metals and plastics without the use of fasteners’. The most common type is known as fusion welding, where the parent metals are melted together with a flame or an electrode. Non-fusion welding includes soldering and brazing. In these methods, a third metal is used as a filler to help join the pieces. 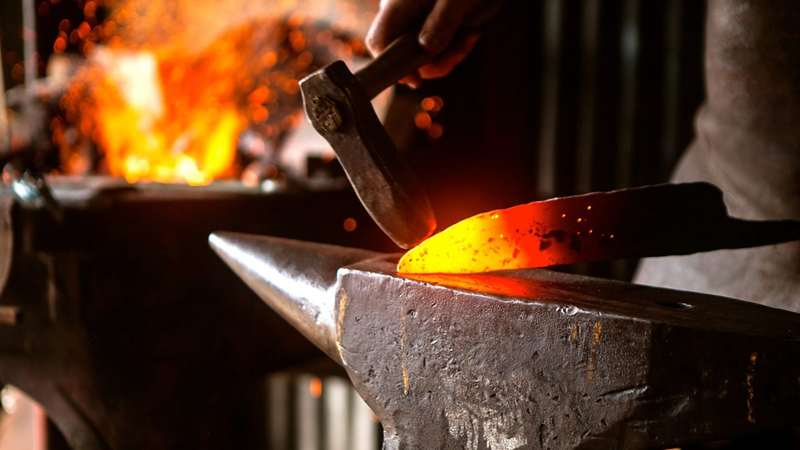 Welding dates back to the Middle Ages, and the first weldors were blacksmiths. These brave, soot-covered men both cut and joined pieces of iron together using nothing but fire, hammers, and a deep well of patience. The Industrial Revolution increased the demand for welding by several orders of magnitude, because much of the machinery from that era was made by casting molten metal. This brought about an entire sub-industry built on a new cast welding process, which involved heating the broken bits, bolting a mold around them, and pouring in molten metal. When electricity arrived in the 20th century, the carbon-arc rods used in lighting fixtures sparked the idea of arc welding. Arc welding works by creating a circuit between a power supply (the arc welder) and the metals to be welded. The ground lead is clamped to the work piece, and the positive lead runs to a spring-loaded clamp that holds a 12-14″ electrode. This rod consists of a parent-matched filler metal coated with a flux material that turns into a gas when heated. This gas shields the work piece and the filler metal from impurities in the air while the bead is formed. The downside is that it also creates a solidified slag of filth that must be chipped away. Oxy-acetylene gas welding came soon after arc welding, and WWI advanced both of these methods. As the aircraft industry began to take off, the demand for lightweight, durable metals and the people to weld them together skyrocketed. A newer style of welding known as GTAW (gas tungsten arc welding), Heli-Arc, or TIG (tungsten inert gas) began to gain popularity. Though difficult to master, TIG welding offers finer control and gives excellent results. Many commonly welded metals are alloys of several different metals. This is because pure metals are too soft (and valuable) for the frames of cars and buildings. The only problem is that some alloys’ constituent metals don’t melt together well. When heated, the different metals flow unevenly, and cracks develop along the welded joint. This Achilles heel renders a number of otherwise strong and reputable alloys useless for welded applications. 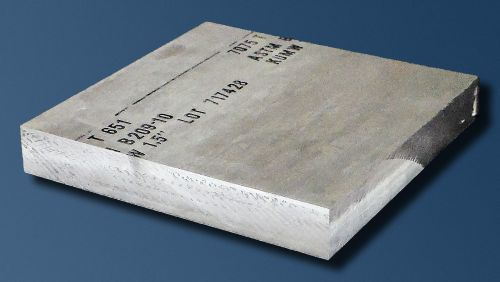 AA7075 is one of these alloys. This decades-old concoction of aluminium, zinc, magnesium, and copper is extremely strong yet lightweight. It’s ideal for a number of applications, especially where fuel efficiency and battery conservation are valued. The only problem is that AA7075 is highly susceptible to cracking when welded. Though it is widely used in riveted-together airplane fuselages, AA7075 generally considered to be unweldable by any means. 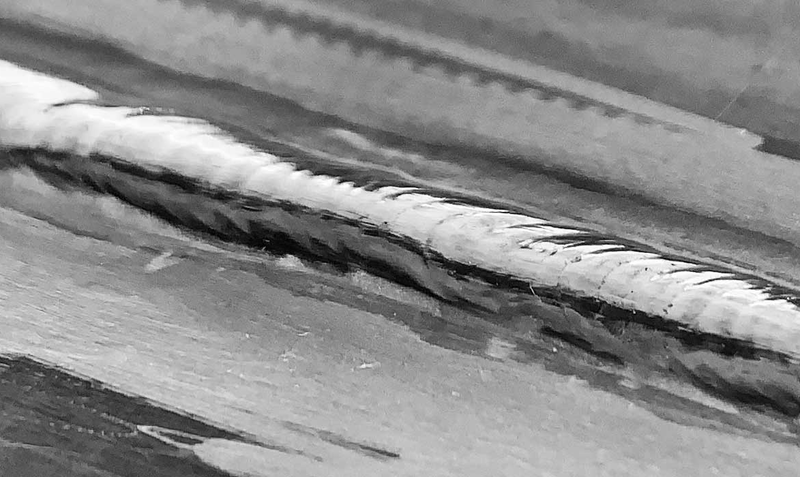 Successful arc weld of AA7075 using titanium carbide-infused filler rod. Via UCLA. A UCLA research team led by graduate student Maximilian Sokoluk and Professor Xiaochun Li have given the alloy a new lease on life. They’ve found a way to TIG weld two pieces of AA7075 together without any cracking whatsoever. TIG (tungsten inert gas) welding uses a non-consumable tungsten electrode situated inside a torch. During welding, the torch releases helium or argon, which shields the weld from impurities. A separate filler wire made from a compatible alloy can be fed in to complete the joint, though it’s not required for thicker base metals. The paper describes how adding titanium carbide nanoparticles to the mix allowed them to create a bond that proved to be stronger than the pieces themselves. The wire’s filler metal is infused with titanium carbide nanoparticles, which strengthen the mechanical properties of the metal in the melt zone. Using electron microscopes, the researchers studied cross-sections of the joints and found that the nanoparticles changed the alloy’s solidification mechanisms. In fact, they provide so much reinforcement that the metal in the melt zone actually becomes harder than the parent metals. Results of welding with AA7075 filler, ER5356 filler, and nanotreated AA7075 filler rods. Notice the cracking in (b) and (c) but not (d). Via Nature. The resulting joint is quite strong, with a tensile strength up to 392 megapascals. To put that in slightly more accessible terms, that means it can withstand more than three times the pressure at the bottom of the Mariana, the deepest oceanic trench in the world. Not only is this great news for AA7075, it could create new opportunities for other high-grade, previously unweldable alloys.